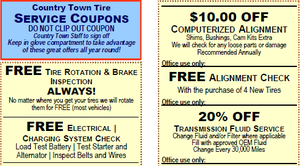 We will use two key tools to help you find the right tires for your vehicle in the Hickory, NC area. 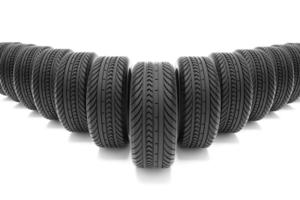 Without the right tires, you may have a hard time getting your vehicle to function properly. However, since there are so many types of tires on the market today, it’s hard to know exactly which tires to buy for your car. Fortunately, at Country Town Tire & Auto Service Center, we understand the difficulties that can come from trying to pick out new tires and are here to help you with the process in the Hickory, North Carolina area. There are two key tools we use to help our valued customers select the right tires for their car. First, we rely on our extensive catalog that helps us find the perfect tires for many types of makes and models. Our catalog can easily be sorted by manufacturer, speed rating, customer rating, and tire type and purpose. The second tool we use is our Tire Advantage Calculator. This calculator gives us the ability to predict what your immediate and long-term ownership costs will be like if you go with a certain set of tires. By using this calculator, we can also provide you with many other valuable pieces of information relating to your tires. At Country Town Tire & Auto Service Center, we are committed to providing you with an unparalleled level of customer service. The next time you need to buy new tires for your vehicle, remember, we are ready and waiting to help. Give us a call today if you have any questions or if you would like to know more about the types of tires we carry.